Providing for Masonic Care Tasmania. While our basic services are provided through government funding, it is the extras – the special programs, the events and community activities, the additional projects and items – that add to the quality-of-life experience that our residents treasure. We are proud of providing lovely maintained gardens, television viewing areas, and creating fun social experiences through our extensive leisure and lifestyle programs. All these things have been made possible by the generous donations of individuals and organisations. Whether your bequest is material or financial, you can be sure that it will be greatly appreciated and will positively benefit the lives and livelihoods of those in our care. If there is an area of particular interest or focus where you would like your bequest to contribute, please let that be known in your will. 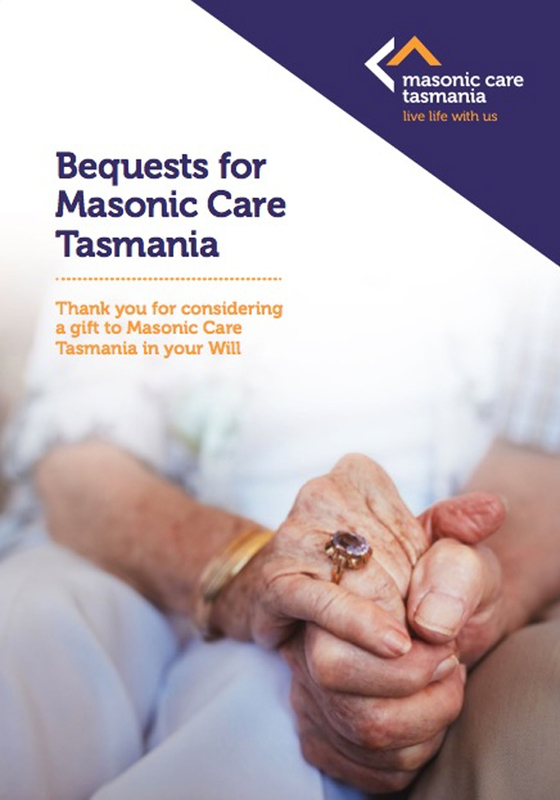 When you make a bequest to Masonic Care Tasmania, you will be permanently leaving your legacy as a fond reminder to others of your kindness and generosity.